Put-in-Bay Island vacation rentals are available whether you are planning a quick weekend or longer week stay on the island. 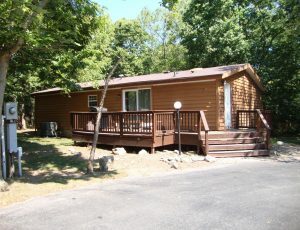 Put-in-Bay Cabins Cottages & Condos book up quickly due to their popularity. 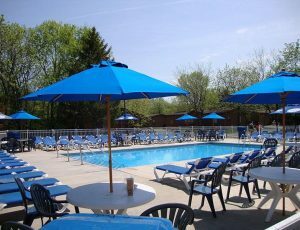 From waterfront condos with a picturesque Lake Erie view to 3 or 4 bedroom vacation rental homes and cabins. Enjoying your visit on South Bass Island with a cottage rental is a great idea for individuals, families and groups. Vacation rentals many times feature all of the amenities of home and more. 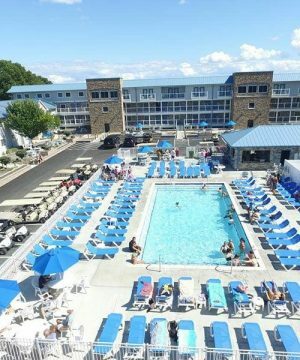 Full-sized kitchens, pools, lake views, BBQ grills, and Put-in-Bay golf cart rentals can be some of the reasons you might want to consider a vacation rental on the island. Put-in-Bay is known for its variety of stunning landscapes and endless options for outdoor recreation. If there’s one thing we know, it’s being outside and immersed in Mother Nature! So why not have your accommodations match? Put-in-Bay cottages & cabins are your ideal choice for getting back to nature and enjoying a more rustic, yet still homey, vacation. It doesn’t matter whether you’re here as a family or venturing up to Lake Erie on your own, the Put-in-Bay area offers numerous options for cabin and cottage accommodations to turn every vacation moment into a lasting memory from our April fishermen to our Octoberfesters! 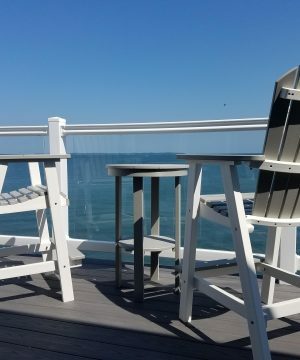 Choosing to rent a Put-in-Bay cabin or cottage has the added bonus of nature’s solitude and privacy from fellow vacationers. 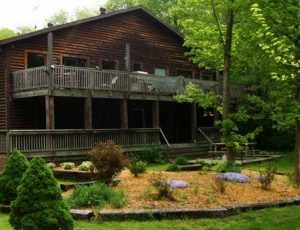 Put-in-Bay’s cabins and cottages for rent are located in a quiet and unique setting in the middle of the island. We are just a quick walk to the crystal clear waters of Lake Erie. You could wake to the sound of a deer wandering through the nearby woods (we have one deer affectionately named Millie), or the call of a goose or loon on an otherwise calm quiet morning. 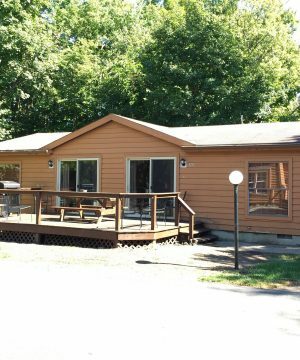 Cabins and cottages can range from three to four bedrooms to a new lakefront condo with several floors and fully stocked kitchens, utilities, color TVs, and a pool. On the island, there are many fishing spots and hiking trails. What could be more perfect than your own private cottage rental just steps from a beautiful lake? Private golf cart rentals and quick taxi service are offered at all our rental homes. In the Spring, fishermen from the Plains states make the trek to Put-in-Bay for our awesome Walleye run. In the Fall, a cabin in the Put-in-Bay woods offers beauty with the flush colors of changing leaves. 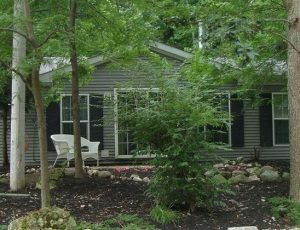 See our selection of Put-in-Bay cabins and cottages, located near fresh water Lake Erie for the perfect Put-in-Bay getaway. Find cabin and cottage rentals in Put-in-Bay that call to you. Bring the family for a reunion or a bachelorette party for fun.